ECA’s Director of Business, Paul Reeve, looks at the growing opportunities for contractors and service providers as renewables, storage and EVs become the key components of a smarter, lower carbon UK grid. Increasingly, UK renewable energy delivers the cheapest, lowest carbon, electrical energy available to the grid. By itself that would be impressive, but renewables and energy storage together offer a winning combination, allowing customers full flexibility to use and export ‘carbon free’ electrical energy. In addition to lower energy bills (notably by storing solar energy for export to the grid when grid charges are high), business exposure to short-term fluctuations in prices via half hourly metering can be minimised by combining renewables and storage. Even more value can be derived from offering useful grid balancing services, and providing uninterrupted power (UPS) replacement. As a result, more clients are responding to stand-alone or ‘stacked’ value propositions that deliver a business case for installing, maintaining and even upgrading renewables/storage systems. This means increasing opportunities for designers and installers, and those who can understand and present the business case itself. Batteries and grid parity – are we there yet? The short answer is no, but it seems we’re well on the way. As the whole-life cost/kWh of battery storage converges with the whole life cost of buying grid electricity, there will be many more opportunities for systems designers, installers and service providers. The economics of battery storage and market drivers are complex but some commentators suggest that convergence could happen before 2025, with an increasing number of commercial opportunity ‘hot spots’ before then, notably in the commercial and public sectors. Batteries still only comprise a small part of the UK’s energy storage capacity, but they’re expected to become far more important in the near future, as costs continue to fall. In December 2017, the Energy Storage APPG headlined that an impressive 12GW of UK battery storage alone could be achieved by 2022, if the government can remove market and regulatory barriers. Batteries offer excellent capabilities (e.g. around 10x faster and more precise service response to the grid, compared to turbine generators) and they’re relatively easy and flexible to deploy. Lithium-ion batteries currently dominate the growing market, offering high discharge and recharge rates (ideal for frequency response). However, there are other battery types, with different costs, applications and limitations: not all batteries are suited to delivering power or frequency response, and some are much better at bulk energy storage (e.g. Vanadium flow batteries). Up to nine million electric vehicles (EVs) – essentially sizable mobile batteries – are expected to be on UK roads by 2030. This strongly underlines the need for major UK investments in charging infrastructure, along with changes in public sector, commercial and domestic electrical energy demand and supply. Whether in buildings or wider infrastructure, the nation’s EV charging capacity will need to become very smart to support the grid, rather than be a major new – and entirely unstainable – drain. Smart energy systems will need to incentivise ‘vehicle to grid’ technology, allowing EV electrical energy to be sold to the network during peak demand, and possibly providing other grid services. Once again, the growth in EVs implies new and sophisticated installation and commissioning, along with maintenance and even upgrading. 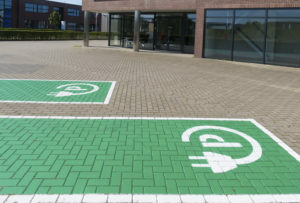 Vehicle charging technology is unlikely to stand still and nascent ‘flash charging’ technology – offering vehicle charging in minutes rather than hours – may herald the upgrade of even the fastest charging installations currently available. In August, the government’s latest consultation on how to get the best from renewables, storage and EVs pointed to tumbling system prices but also to the urgent need for much smarter deployment of these technologies. ECA is currently working with partners and members to identify and develop the skills and industry standards that will help members to be at the forefront of the UK’s smart, distributed and low carbon energy bonanza. Previous : Have You Got The Retrofit LED Blues?